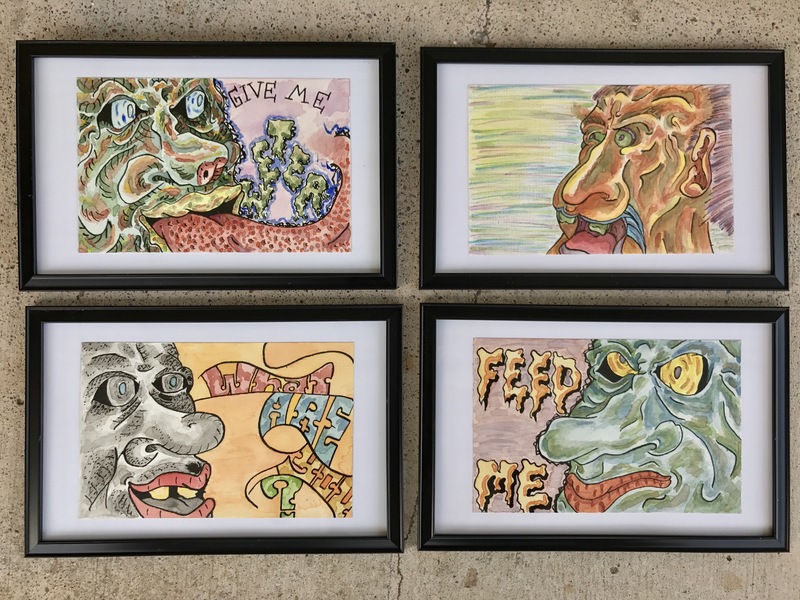 Four watercolor and India ink cartoon illustrations on 5.5″x8.5″ watercolor paper. Just framed these and are ready to be displayed! Next SERKIT Art Exhibition at S.O.A.P.